Each year, 175,000 children are diagnosed with pediatric cancers. In 2006, 13 year old James A. Ragan was one of those children. From 2006 onwards, James dedicated the remainder of his life to raising awareness and funds for this cause. 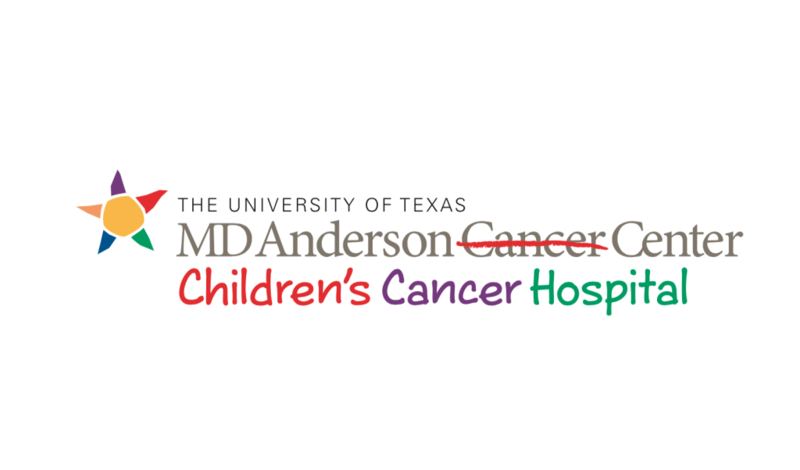 To date, TOKC has funded over $3 million dollars of research into pediatric cancers through our partnership with M.D Anderson in the Children’s Sarcoma Project. Every dollar we raised was matched dollar for dollar by M.D. Anderson. Our mission at Triumph Over Kid Cancer Foundation has been defined by the painful and tortuous deaths of the many children who have died from pediatric cancers. 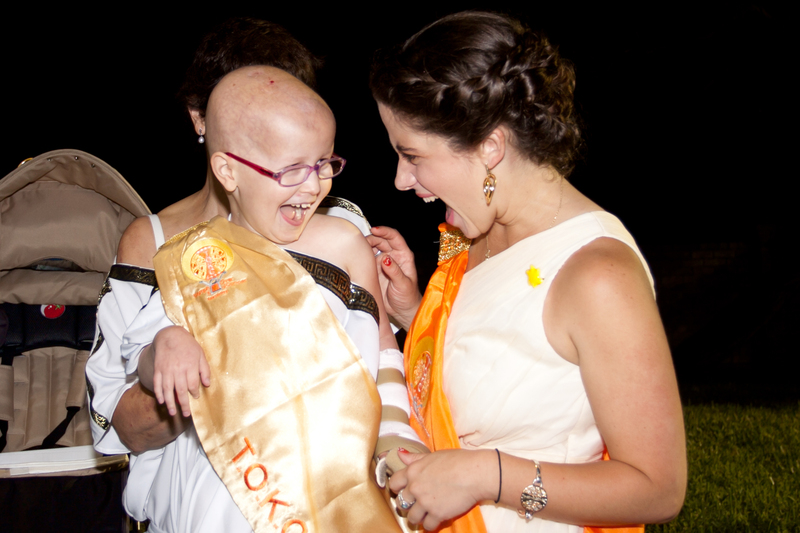 Each year, 175,000 children are diagnosed with pediatric cancer, and that number continues to rise. With only 4% of federal research funding going to pediatric cancer research, there is a great need for funding to support research into treatments to help cure these children. Therefore, our primary mission is to raise awareness and funds to try to improve treatment and survivability of pediatric cancer. While research is an essential part of improving the futures and outcomes for children with pediatric cancer, it is just one piece of the puzzle. Every day, children with cancer have to undergo invasive tests, scans exposing them to radiation, difficult chemotherapies, surgeries with long painful recoveries, radiation treatment, and an endless list of things no child should ever have to go through. Thus, the other part of that puzzle, and our mission, is to bring some joy and happiness into the daily lives of children with cancer. Each member of the Board shares a deep passion for the cause of curing pediatric cancers. We all knew and loved James personally, and have dedicated ourselves to carry on James’ mission. 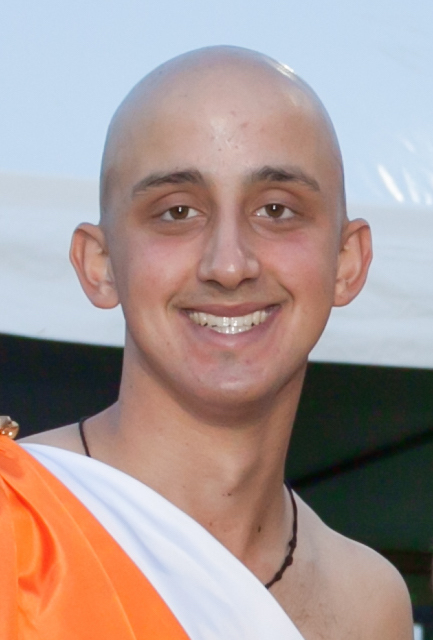 James died from osteosarcoma when he was a sophomore at Rice University after battling the disease for nearly 7.5 years. In June of 2006, shortly after his 13th birthday, James was diagnosed with the disease in his left knee. He had to undergo several months of chemotherapy both intra-arterially directly to the tumor site and systemically. The doctors then removed a large portion of his left leg (40% of his femur, his knee, and 20 of his tibia) and replaced it with metal implants. This was followed by several more months of chemotherapy. While this was a difficult trial for James, it was compounded by the fact that due to the surgery and implant, he could no longer play tennis. Before Cancer he was devoted to becoming a great tennis player. When he was diagnosed, he was a highly ranked junior player and hoped to play division one tennis. Unfortunately, losing tennis would be the least of his worries. By the summer of 2007, he was in apparent remission. He had been told that even though he couldn't play tennis he could play golf. He had taken it up and was playing well enough to play Varsity Golf at Mary Carroll High School and qualified to play the Texas State Junior Championship (he went on to qualify every year thereafter while in high school). He was even elected President of his class in school. Things seemed to be going well, but in October of 2007, he learned that the bone cancer had metastasized to his lungs. This is the most common site of Osteosarcoma metastases and unfortunately there is no known successful treatment. He had the tumors surgically removed but they continued to recur throughout his life. He eventually had 6 surgeries over the 7 and a half years that cancer plagued him. In spite of the enormous challenge, James graduated as salutatorian of his class, was admitted to Rice University. Throughout all of that, he continued to improve at golf, eventually winning the Jimmy Demaret Classic on the Legends Junior Tour and qualified for many prestigious junior tournaments including the Junior Byron Nelson tournament, the George Hannon Invitational, the Jackie Burk Cup and many others. His success enabled him to go on to play golf for the Division I Rice Owls golf team. While doing all of that, he kept up with his rigorous schedule making the President’s List at Rice University for his Freshman Year. More importantly, James always spent time with his friends, his family, and treated others with respect, courtesy and kindness. Perhaps more importantly than always living life as well as it could be lived despite all of the difficulties, James always worked to help other children with cancer. 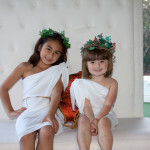 His first birthday after being diagnosed, he decided that he really didn't need anything for his birthday and instead hosted a toga party with a 50 dollar admission fee with the proceeds being split between M.D. 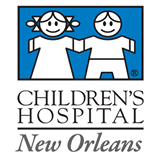 Anderson and Driscoll Children's Hospital's pediatric oncology units. The event was such a success that the next year he coupled the toga party with a golf tournament and had even more success. He continued to have them as annual events funding bone cancer research until 2010 when his sister Mecklin and he transformed their efforts into the Triumph Over Kid Cancer Foundation. Although James is no longer with us, an incredible board of directors has pushed TOKC to extraordinary accomplishments. Over the years, James, his sister and TOKC have raised millions of dollars for pediatric cancer research, and those numbers are even larger thanks to M.D. Anderson matching the funds raised for pediatric cancer research by TOKC. While James’ accomplishments are enjoyable to reminisce over, we believe his greatest accomplishment is yet to come. While he was always pretty sure that science could not save him, he wanted pediatric cancer to stop with him. We believe that the efforts of TOKC will eventually make that dream a reality. Mecklin Ragan is a graduate of Rice University where she double majored in Biochemistry and Cell Biology and Hispanic Studies and played tennis for the Division I Rice Owls. At Rice, she was chosen as a Barbara Jordan Scholar, which recognizes students for their potential commitments to society and their ability to build bridges between cultural racial and ethnic groups. Mecklin was valedictorian of her high school graduating class at Mary Carroll High School in Corpus Christi. While representing CHS at the Texas Capital Area Hugh O'Brian Youth Leadership Conference in Austin, Mecklin was chosen as the Texas female delegate to the HOBY World Leadership Conference in Washington, D.C., where she was selected to deliver the closing address on behalf of the American Delegation. At Rice, she was very involved in student government at her residential college – Duncan College – serving as inaugural External Vice President and Internal Vice President. She is a member of the Corpus Christi Chapter of the Daughters of the American Revolution, and received the DAR’s Award for Excellence in Community Service. With her brother, James, she has also worked to bring joy to the lives of children with cancer and their families, and to raise funds for pediatric oncology research. For her work with Triumph Over Kid Cancer, Mecklin received the Corpus Christi Caller Times Health Care Heroes Community Outreach Award, City of Corpus Christi Commendation for Community Service, and The State of Texas Resolution of Commendation. She has also been a speaker at the Craig Biggio Sunshine Kids Celebrity Gala and Golf Classic with her brother, the Cattle Barons event targeting Osteosarcoma research, and Better Homes and Gardens Realty Gary Greene Fellas And Flappers. Former member of the Sunshine Kids Foundation Board of Directors, Mecklin currently serves as the Vice-Chair of the CureSearch for Children’s Cancer Survivorship Council, and is a member of the American Medical Student Association and the Texas Medical Association. 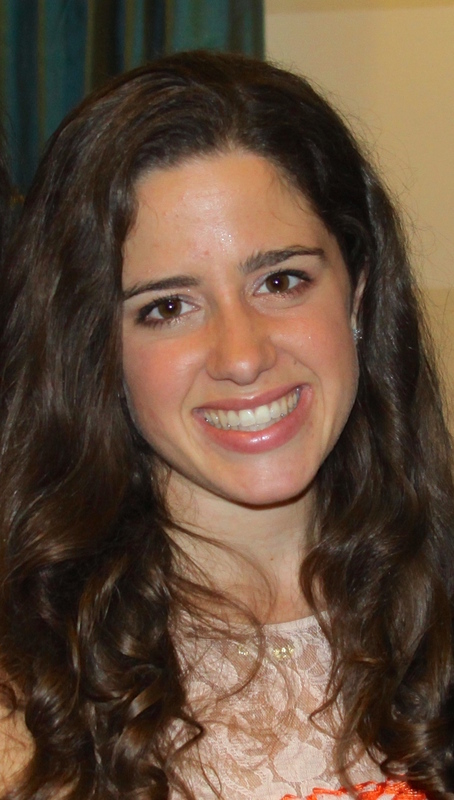 Today, she is finishing her third year of medical school where she hopes to go into surgical oncology and devote herself to improving the lives of children with cancer. During her free time, Mecklin enjoys spending time with her family, friends, playing with her dogs Harley and Liv, and watching classic movies. She is the proud sister of James A. Ragan. 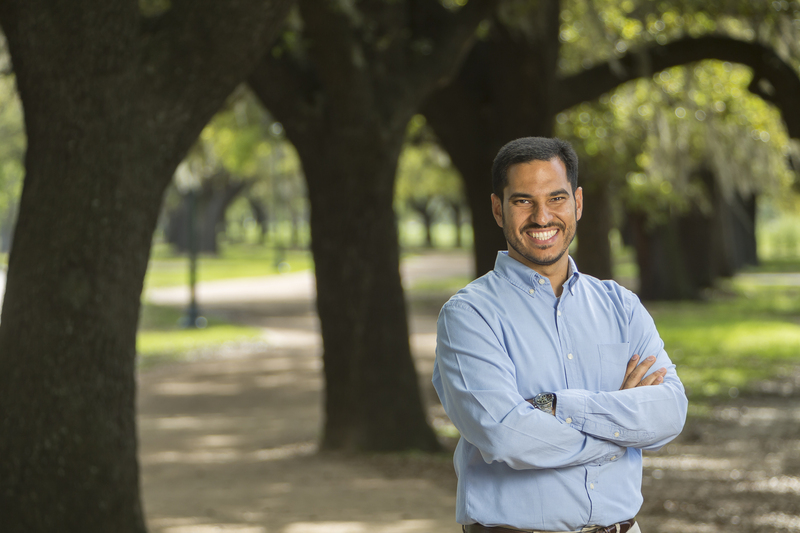 Omar Abou-Sayed is the CEO of Advantek Waste Management Services, a full service waste management company providing recycling, treatment, and disposal of oilfield wastes. Previously, he was the Vice President of Corporate Development for Elevance Renewable Sciences, a cutting edge start-up in the renewable energy sector. He began his career in oil and gas, working for BP in a variety of engineering, business, and senior leadership roles. In 2007, he was part of a team of executives who left BP and were retained by a TPG, one of the world's largest private equity firms, to advise them on opportunities and deals in the energy sector. Omar's current work is an outgrowth of those efforts. He holds a Bachelors of Science in Mechanical Engineering from the University of Texas at Austin and and Masters in Business Administration from the Harvard Business School. Omar lives in Houston with his wife Mikhal (James' cousin) and has been part of "the family" for almost 20 years. Cynthia Coffman has a storied history in the medical field. Having gotten her Bachelor of Science degree in nursing in 1975, she has worked effectively in the management of a variety of hospitals since then. Since 2003, she has worked as the Senior Patient Affairs Specialist at M. D. Anderson, making the transition from normal life to cancer treatment as livable as possible for people whose lives are disrupted by cancer. She has a thorough knowledge of the health care field, with strong leadership and communication skills. She is a high energy motivator, and she is especially excited about working with the Triumph Over Kid Cancer Foundation. As the mother of her daughter Angela and Grandmother of 7 year old Trent (soon to be 8 in November!) and 4 year old Gareth, she has a special drive to do work that helps families. Her experience over the years with James and hundreds of other children who were victims of cancer gives her a special appreciation for the mission of this foundation. 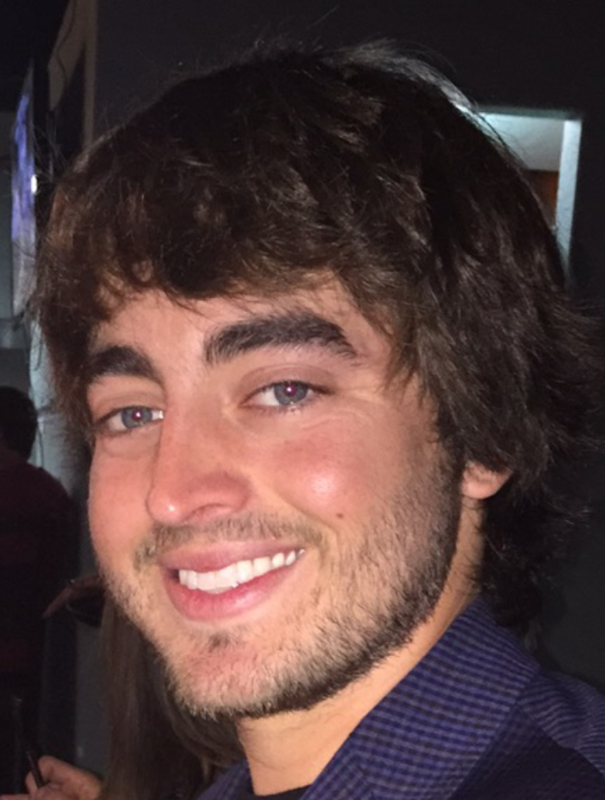 Coy Dobson is 21 years old, from Corpus Christi, Texas, attends Southern Methodist University and is majoring in Public Policy, Political Science, and Economics with a minor in History. Coy met James when they were both 5 years old and playing baseball at national little league. When the coach of their team quit, Mr. Ragan took over the coaching duties and James and Coy’s spot on the same team was secured. They played for the same team for the next 6 years as Mr. Dobson took over as assistant coach and guaranteed them a spot together. They wanted it that way. Very soon after they became teammates they became inseparable as baseball quickly became far less important than the sleepovers and late night of playing pool and watching movies that would follow. As they grew older Coy became pitcher and naturally James became catcher in order to maximize their practice time together. Although baseball was the joining force of the two kids, tennis was Coy’s true passion and both he and James ended up quitting baseball to pursue tennis. For a while the two remained inseparable as they enjoyed practicing together at James’ house (in between the homerun derbies on the tennis court). However, as they both became very good, competitiveness and teenage hormones got in the way of their friendship. As was fitting, they shared many great matches against each other and ended up winning 1st and 2nd place in the middle school city championship in their last match. It was not long after this that the word of James’ diagnosis came. Coy went on to attend W.B. Ray High School while James attended Marry Carroll High School. Although the two had grown apart, they certainly had not lost contact with each other. By a great twist of fate James’ old coach began coaching Coy. Due to the closeness they both had with Israel, their friendship began to rekindle. As James had become a top class golfer, he invited Coy out to play so that he could avenge any tennis losses he had suffered. 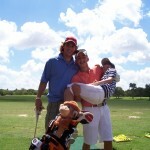 They had an amazing time playing together despite James’ confusion with Coy’s tennis attire on a golf course. Because of the busy schedule of tennis and James’ nonstop work for TOKC, their time was still limited throughout high school. It was yet another golf outing and a girl that ultimately brought their friendship back to full power. The summer after senior year Coy decided to attend Southern Methodist University and play tennis for the Mustangs. During this time he met his girlfriend, who was going to attend SMU to play golf. In an effort to not embarrass himself when he played with her, he began to tirelessly hit the links. When James got wind of this his enthusiasm was immense. The two played golf together several times during the summer, and as James was preparing to play golf for Rice he helped plant the golf seed in Coy. 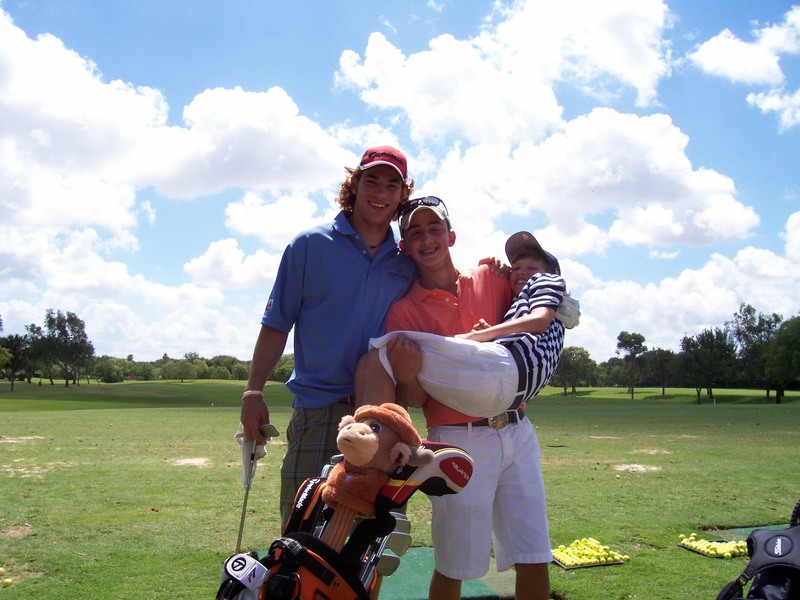 Most of his summer before attending college was spent playing golf and enjoying time with James. Although Coy began playing very well his freshman year at SMU he simply had other passions. Academics had fallen off of Coy’s radar during high school in his pursuit of tennis, however, being in the college environment made him realize how much he enjoyed and valued his education, and wanted to be the most knowledgeable person in the room. Academics were extremely hard to focus on while playing college sports, and so tennis fell by the wayside. It is worth mentioning that golf had something to do with it as well. The summer after freshman year was the summer of golf and the summer of Coy and James as the two could not get off of the golf course. James was delighted that he had turned Coy from the dark side and took great pleasure in coaching and mentoring Coy in his pursuit of basic golf skills. As Coy became a half decent golfer, James decided it was time to invite him to the famous hammer group. In one of their more memorable nights they sat and ate Hibachi and Sushi together, taking hours hatching a plan of how to take advantage of the rest of the group by teaming up. The two were inseparable again and through the next couple years their friendship only continued to grow. Coy began to follow James’ footsteps in golf, “practicing more than any college golfer” in James’ words. They played 2 tournaments together as teammates, winning both. It was the joy and excitement of playing and winning those tournaments with James that gave Coy his love for golf. Their relationship was unique, but as many have said, they were kindred spirits. They both loved what they loved and fully dedicated themselves to what they loved. And while their passion may have come in between them for a brief time, as they had always done, they ended up with the same passion and love. It was on the 9th hole of the Corpus Christi Country Club at sunset that James imparted the biggest gift he ever could onto Coy. He asked him to join the board of directors of Triumph Over Kid Cancer. It was not simply the question, but the incredibly James-like way that he did it that was so touching. James explained that he understood that he would not be around forever to guide TOKC and wanted someone that he knew shared his beliefs and principles there to represent all that he stood for and worked so hard to create. It was an incredible validation to their friendship as Coy realized the incredible magnitude of his request. Never had he been so honored, and that feeling of honor will likely never be surpassed. He looks forward to serving on the board alongside his honorary sister Mecklin and doing whatever he can to preserve James’ legacy. 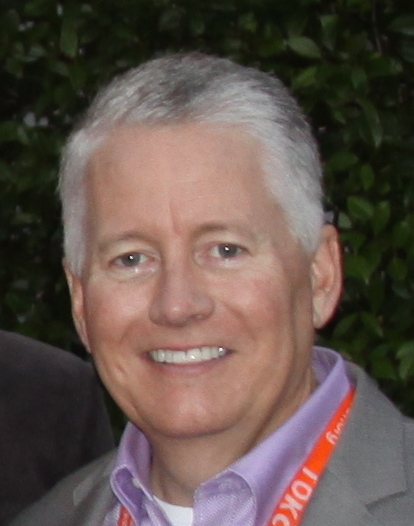 John W. Hennessey II is currently the CFO of Diversified Foods Inc. in Metairie, Louisiana. Diversified Foods is a family owned business which Mr. Hennessey has been a part of since 1986. Mr. Hennessey was born and raised in the Irish Channel of New Orleans, Louisiana. He graduated from the University of New Orleans in 1986. He received a Bachelors degree in Business Administration with a Computer Science minor. 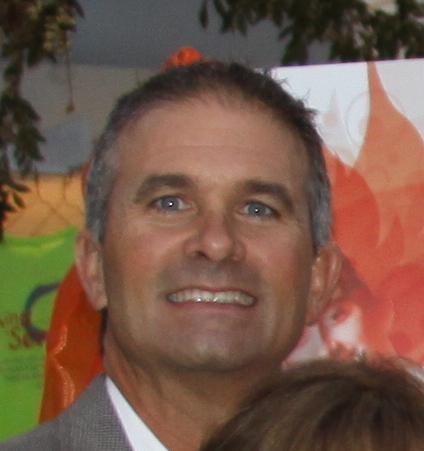 He married Michelle Damiens in 1987 and is the proud father of two sons, Taylor 18 and Zachary 16. Mr. Hennessey has been deeply involved in his community while at the same time spending quality time with his two boys. He coached at Lakeshore Playground and the Lafreniere Soccer Association for 8 years in addition to serving as a Youth Minister for St Angela Merici Parish. Mr. Hennessey is also the Founder and Captain of Team Bovine Paceline, which is a cycling team that raises funds for several different charitable causes. In 2009 he was named Secretary of the Marcel J. Damiens Family Foundation. He is also an active member of Southern Yacht Club and the Corinthian Sailing Association where he served as Treasurer and Rear Commodore in 1998. Mr. Hennessey is an avid cyclist and enjoys sailing. Through his cycling teams' hard efforts, they have raised thousands of dollars for several charitable organizations. Mr. Hennessey is passionate about staying active while at the same time contributing to those in need. Michelle Hennessey was born and raised in New Orleans, Louisiana. She is the youngest of five children and the proud daughter of the late Marcel J. Damiens and Eva Margaret Damiens. She is a 1997 graduate of the University of New Orleans with a bachelor's of Science degree in Management. Mrs. Hennessey is the co-owner and President of Diversified Foods Incorporated, a family owned business that distributes food products both domestically and internationally. She has enjoyed this ownership, along with her brother Tab J. Damiens and husband John Hennessey, since 1989. 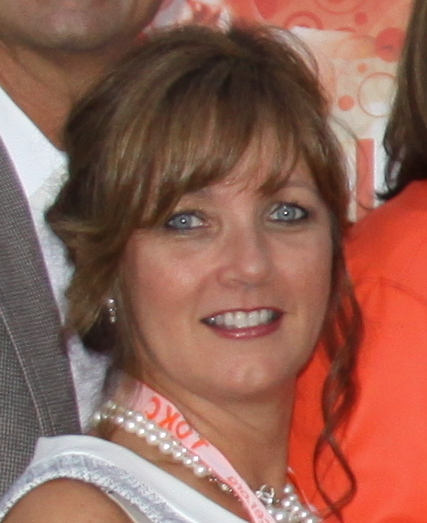 Mrs. Hennessey currently serves as a Director of the Marcel J. Damiens Family Foundation. This Foundation was created as a tribute to her father who died of colon cancer. In 1987, she married John Hennessey and in 1992 and 1993 they were blessed with their two sons, Taylor and Zachary. Also during this time, she served on the board of The World Trade Club of Greater New Orleans. During Mrs. Hennessey's 7 year tenor with The World Trade Club, she was granted the Outstanding Member Award in 1993, was elected President in 1997, and granted the Certificate of Merit Award by the City of New Orleans in 1998. She was very involved in their school and church community. Her involvement included serving on the St. Angela Parish Fair committee from 1998 – 2003, co-chairing the event for two years, co- chairing the St. Angela Parish $10,000.00 Raffle for two years, and served on the Pastoral Council for 1 year. Along with her community service she tried to attend every track meet, soccer, baseball, basketball, volleyball, and lacrosse game her son's participated in. Today, Mrs. Hennessey, along with her husband John, enjoys the day to day challenges and successes of the family business. Charlie "Cha-Cha" Hicks proudly joined the TOKC Board of Directors in 2012 at the request of the foundation's founder, James Ragan. Sharing golf as a passion, Cha-Cha and James have developed a friendship that crosses generational lines with both gaining perspective from each other during their rides together on the golf course. Cha-Cha serves as Dealer Principal for his family's automotive operations in Corpus Christi, representing Nissan, Mercedes-Benz, and Infiniti franchises. The Hicks family is committed to the Coastal Bend community and dedicates their time and resources to enriching the lives of its citizens through education and economic growth. Cha-Cha has served in leadership positions of several area organizations including the USS Lexington Museum on the Bay and the Corpus Christi Regional Economic Development Corporation. Nissan and Mercedes-Benz dealers in the United States have elected Cha-Cha to serve as their representative on their respective National Dealer Advisory Boards to foster the partnership between the manufacturers and their dealer network. While attending the University of Texas in Austin, Cha-Cha met his lovely bride Susan (Crow) and they relocated to Corpus Christi after their graduations in 1984 and marriage in 1985. They have a beautiful daughter Hannah who also graduated from the University of Texas in Austin and has applied her Le Cordon Bleu training as a chef in operating her catering business, Culinary Crow. Hannah was married in 2015 to Nicholas Vedros and they live in Austin. Catherine Tobin Hilliard is a Corpus Christi attorney and our newest board member. Mrs. Hilliard is a proud South Texas girl who was born and raised in San Diego, Duval County, Texas. She is a graduate of the University of Texas at Austin and St. Mary’s University School of Law. Upon graduation, Mrs. Hilliard spent ten years working as a litigation defense attorney with Gonzales Hoblit Ferguson LLP, one of the largest litigation defense firms in South Texas. 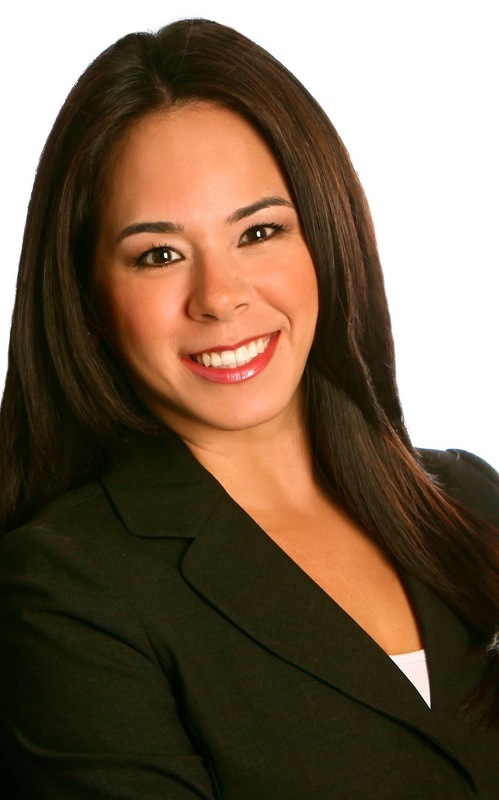 In 2005, she became the first female Hispanic partner and served as managing partner of the firm. Mrs. Hilliard has been selected as a Texas Super Lawyers Rising Star several times during her career. While working as a defense lawyer, Mrs. Hilliard met her husband and soul mate, Bob Hilliard. They soon married and she later became a partner with Hilliard Muñoz Gonzales, LLP, a highly successful and internationally recognized plaintiffs’ law firm. In addition to helping manage the law firm, Mrs. Hilliard spends a significant amount of time managing a household of eight. Bob and Catherine have six incredible children – Emily, Alex, Carl, Robbie, Allie, and Tobin. Emily and Alex grew up with James and Mecklin and they somehow managed to stay out of trouble all those years (or at least keep the trouble they may have found within the “circle of silence”). James was also an amazing role model for Carl and Robbie, who speak of him often and are successful athletes ready to carry out James’ legacy. 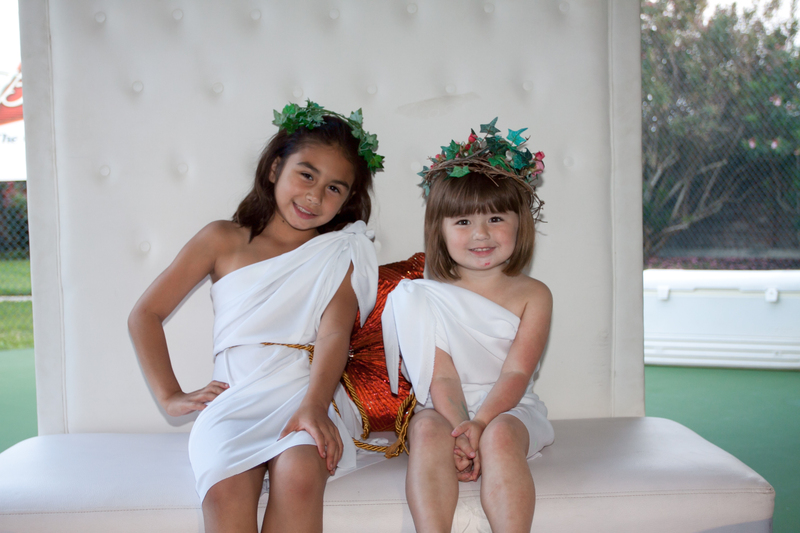 The youngest girls, Allie and Tobin, adored James and cherished the time they spent with him and Mecklin making TOKC commercials and goofing off during takes. Mrs. Hilliard is a very active parent-volunteer at Incarnate Word Academy, the Catholic school attended by her two youngest children. She also serves on the IWA School Board. Mrs. Hilliard a member of several local organizations and committees and spends a considerable amount of time assisting with various projects and fundraising campaigns. Kathryn T. Wiedorn is a partner in the law firm of Pelleteri and Wiedorn in New Orleans, La. Her practice involves civil litigation, with a concentration in insurance defense. She was born in New Orleans and graduated from Benjamin Franklin High School. She attended the University of New Orleans and graduated in 1978, at which time she was awarded the Outstanding Political Science Graduate Award. She then graduated from Loyola Law School in 1982. Kathryn was the law clerk for the Honorable Judge Henry Roberts in the Civil District Court for the Parish of Orleans for one year and has been in private practice since. 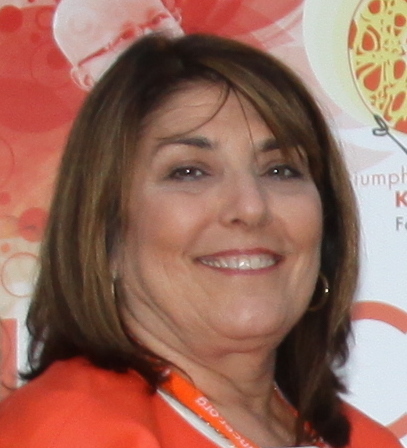 Kathryn has been a strong supporter of private efforts to help Osteosarcoma research in the past and continues her commitment to this cause by her service on this board. She has also been involved in numerous community and charitable activities. 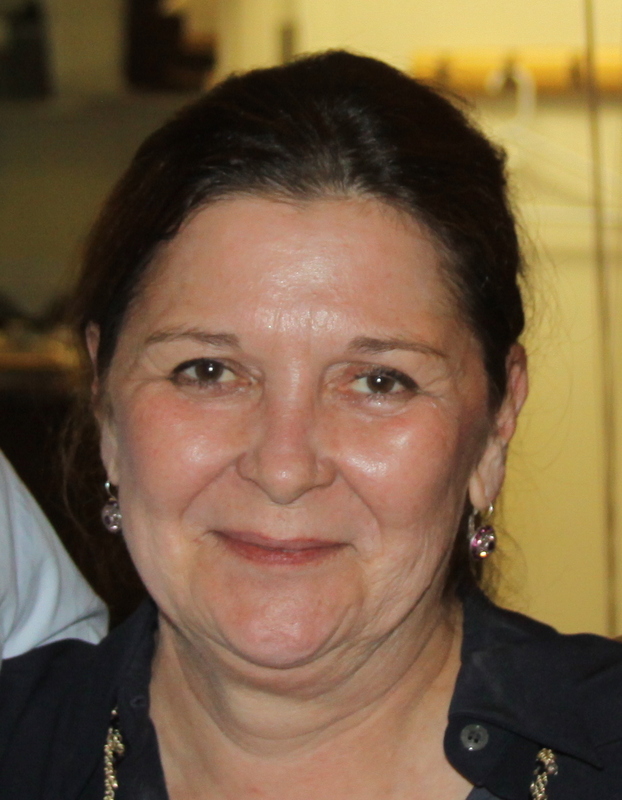 She is a former board member of the Metairie Road Business Association. Dove, Thompson & Co., P.C.